Find out about our latest updates and promotions here! 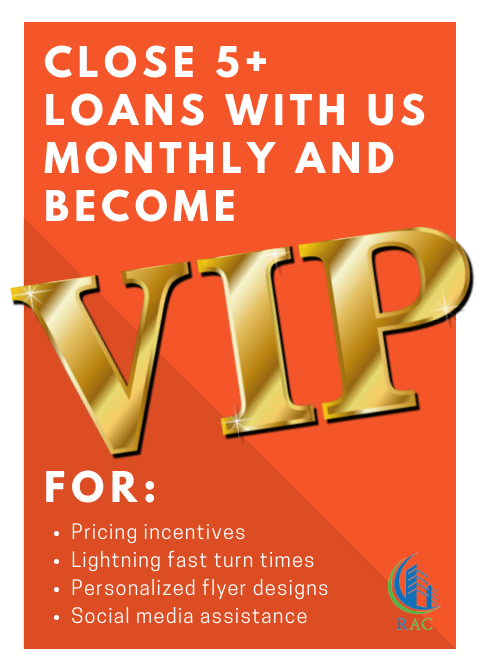 Send us 5+ loans monthly to become a VIP broker with RAC and receive the best service in the industry! We provide pricing incentives, lightning fast turn times, personalized flyer designs, and social media assistance! Lunch Is On Us For December! 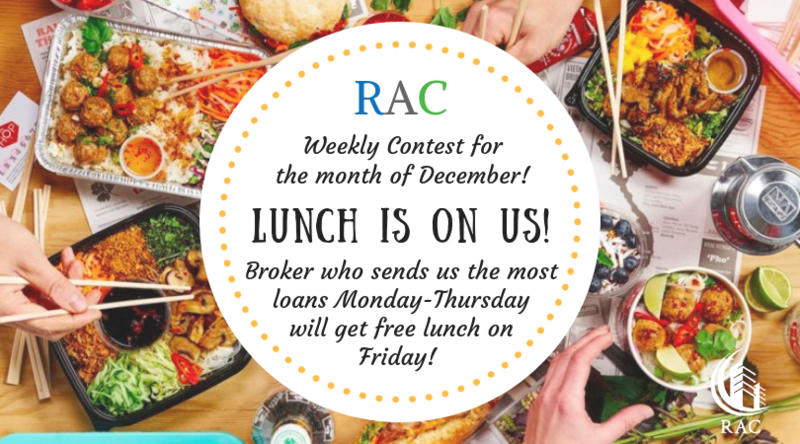 At the end of each week in December, we'll be buying lunch for the broker who sends us the most loans from Monday through Thursday! Try your luck to see how many BPS you get! 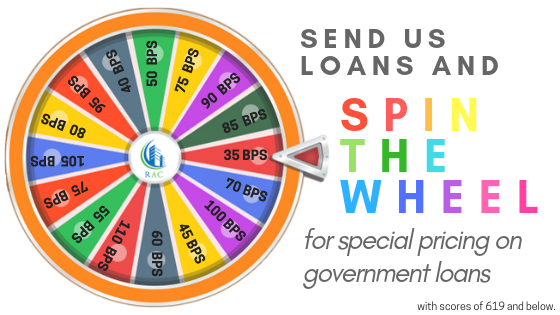 Every government loan you send us gives you a chance to spin the wheel for special pricing! Worried about getting caught with an expired lock? 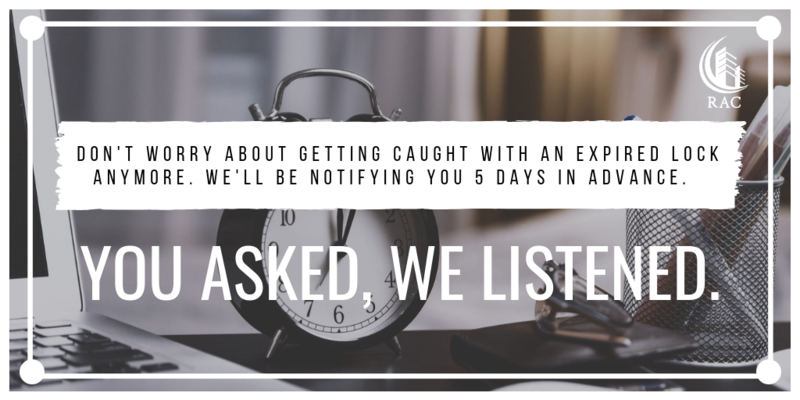 We've heard your concerns. RAC will now be notifying you via email 5 days before your price lock expires.